LSAT India 2019 – The registration process for Law School Admission Test (LSAT) India 2019 Exam has commenced and the last date to apply is till mid of April 2019. On behalf of Law School Admission Council (LSAC), USA, the offline test will be conducted by Pearson VUE in April 2019. The test is conducted every year for admission into the 76 participating Law Schools of India. This year, the Law School Admission Test will be challenging the candidate’s reasoning and reading skills. The LSAT 2019 Application Forms are available online and the candidates can apply from the article below. This year, the candidates can pay the LSAT application fee only via online mode. For more details on LSAT India 2019 application procedure, eligibility criteria, admit card, test pattern, etc. read the article below. The candidates who are eagerly preparing themselves for LSAT India 2019 can check the complete schedule from the table below. It is important for the candidates to submit their application forms before the deadline; else they won’t be eligible to appear for the test. The test will be held in a paper and pencil mode for admission into the 5-year integrated undergraduate and 2-year postgraduate law programmes of the participating institutes. LSAT India is a democratic and inclusive test i.e. the candidates can apply their critical thinking skills, acquired during their academic lifetime, on the entrance test. Thus, no proper training in any specific field or programme is required to ace the LSAT India 2019. Some basic facts about the test are given below. Along with the notification, Pearson VUE has released the notification for LSAT India 2019. The candidates filling up the application form must make sure that they are familiar with the eligibility criteria and also fulfill each of them. If the candidates fail to fulfill any of the criteria and apply for the test, then their candidature will be canceled in the later admission rounds. The candidates must have qualified the Class 12th board examination of 10+2 pattern from a recognized board. The pass percentage in Class 12th will differ according to the Institutes. Age limits for different Institutes will vary from each other. To check the age and pass percentage, the candidates are required to visit the official website of the Institutes/colleges they are applying. The candidates must have a valid degree in LL.B or B.L. or any other degree in Law from a Law Institute recognized by Bar Council of India (BCI) norms. With the participating Institutes, the minimum required percentage for LLM programme will vary. Before registration, the candidates must make sure that they have a valid email ID and a mobile number. To register, your enter name, date of birth, email ID, mobile number and set a password. On successful registration, the candidates will receive a confirmation email on their registered email address. Now the candidates are required to log in using the credentials to access the application form. Once the application form is completely filled-in, the candidates can submit it. To conclude the application process, candidates can pay the application fee for LSAT India 2019. The application or the registration fee for LSAT is Rs. 3800/- and also, the candidates pay a total of Rs. 4250/- to buy the Official LSAT – India Handbook along with the registration. The candidates can pay the application fee for LSAT 2019 via credit/debit card only i.e. via online mode. Also, it must be noted that the registration fee is non-refundable. For the complete list of the LSAT 2019 participating Institutes in India, click here. The cities that will host the entrance test for LSAT 2019 can be divided into north, south, east and west. The candidates who successfully submit the application form before the deadline will receive the hall ticket for LSAT India in April 2019. The last date to download the application form will be April 2019. The admit card will be available online and with its release, the candidates can access the same from this article. The LSAT Admit Card 2019 is an important document, and the candidates must produce it in the exam hall to appear for the test. If they fail to do so, then they won’t be allowed to write the test. To access the admit card, the candidates are required to login into registered account. Details regarding the candidate and the exam will be available on the admit card of the test. The candidates are advised to keep the admit card safe even after the test is over. The test will be held on a paper and pencil based mode and the candidates are required to complete the same within 2 hours 20 minutes i.e. 140 minutes. There will be no breaks in between the 2 hours 20 minutes duration and the candidates are required to complete a maximum of 100 Multiple Choice Questions (MCQs). These questions will be divided into 4 sections, which are Analytical Reasoning, 1st Logical Reasoning, 2nd Logical Reasoning and Reading Comprehension. The candidates will be given 35 minutes for each section. However, there is no negative marking in the exam thus, the candidates are advised to attempt all the questions. As mentioned above, the test will challenge the candidate’s critical thinking. Here, the questions will be based on a structure of relationships and the candidates are required to draw logical conclusions regarding the structure. Also, the candidates will be asked to reason deductively from a set of statements/rules that will be describing the relationship between persons, events, things, etc. These questions will be based on the complex analysis that a law student will be required in the later legal problem solving. In this section, the questions will appear in easy language and the candidates are required to critically evaluate and analyze them before answering. The candidates must make sure that the conclusions and arguments must be well supported by evidence, must be able to identify flaws in arguments and apply principles by rules. The questions will have comprehension passages and will challenge the candidate’s ability to read, understanding and insight. These passages will be lengthy and complex, similar to those encountered in law schools. To prepare for the test, the candidates must practice the sample papers, previous year’s papers, mock tests available. After the mock test or solving a sample paper, the candidates must analyze it. By analyzing, the candidates will become familiar with their strengths and weaknesses. Also, try not to make the same mistakes again and again. By May 2019, the Pearson VUE will release the result for LSAT 2019 India. 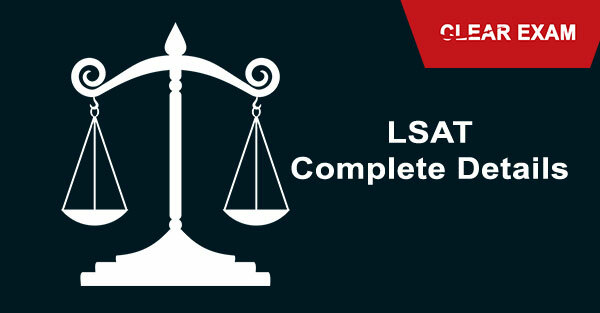 The result will be available online and the candidates are required to login into their registered LSAT India accounts and enter the details. The LSAT Result will be available on a percentile basis, which will help the participating institutes to compare the candidate’s performance with the others. With the release of the LSAT result, the participating Institutes will release their cutoff scores. The cutoff marks are the minimum marks that the candidates must score to be eligible for the pre-admission rounds. The scores will be valid only for one year. It must be noted that the cutoff scores of the various Institutes will vary from each other.